Overall Morningstar Rating for BlackRock Global Event Driven Fund as of 31-Jul-16 rated against 90.00 Alt - Event Driven Funds. Benchmark (%) Index: ICE BofAML US 3-Month Treasury Bill Index&lt;br /&gt;&lt;br /&gt; Index returns are for illustrative purposes only. Index performance returns do not reflect any management fees, transaction costs or expenses. Indexes are unmanaged and one cannot invest directly in an index. Past performance does not guarantee future results. Benchmark (%) Index: ICE BofAML US 3-Month Treasury Bill Index.&lt;br /&gt;&lt;br /&gt; Index returns are for illustrative purposes only. Index performance returns do not reflect any management fees, transaction costs or expenses. Indexes are unmanaged and one cannot invest directly in an index. Past performance does not guarantee future results. 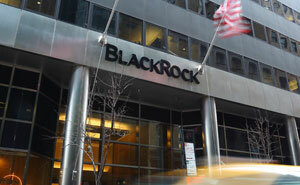 Overall BlackRock Global Event Driven Fund received a Morningstar Rating of 2 stars for the 3-year period, 2 stars for the 5-year period and 3 stars for the 10-year period, rated against 90, 33 and 4 Alt - Event Driven Funds, respectively. Performance results represent past performance and are no guarantee of future results.&lt;br /&gt;&lt;br /&gt;For each U.S.-domiciled fund with at least a 3-year history, Morningstar calculates a Morningstar RatingTM based on a Morningstar Risk-Adjusted Return measure that accounts for variation in a fund&#39;s monthly performance (including the effects of sales charges, loads and redemption fees), placing more emphasis on downward variations and rewarding consistent performance. The top 10% of funds in each category receive five stars, the next 22.5% receive four stars, the next 35% receive three stars, the next 22.5% receive two stars and the bottom 10% receive one star. (Each share class is counted as a fraction of one fund within this scale and rated separately, which may cause slight variations in the distribution percentages.) The Overall Morningstar Rating for a fund is derived from a weighted-average of the performance figures associated with its 3-, 5- and 10-year (if applicable) Morningstar Rating metrics.&lt;br /&gt;&lt;br /&gt;Morningstar Ratings are for the share classes cited only; other classes may have different ratings. Overall Morningstar Rating for BlackRock Global Event Driven Fund, Class E2, as of 31-Jul-18 rated against 90 Alt - Event Driven Funds.